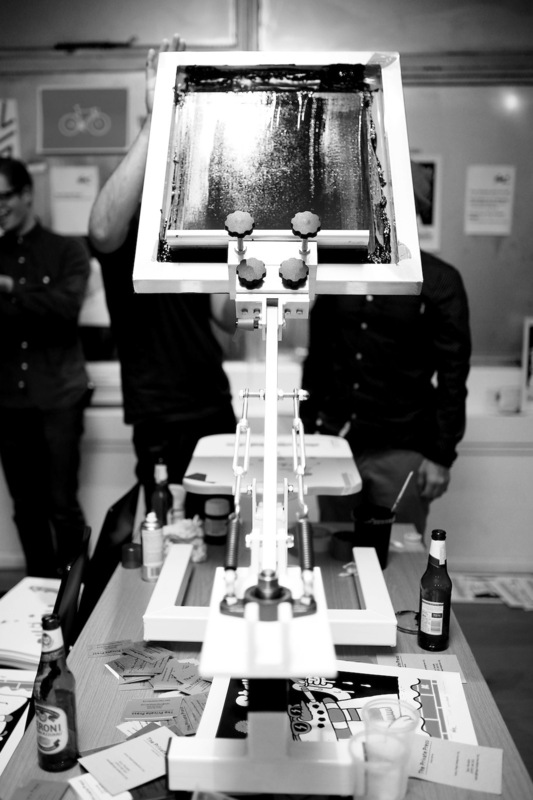 We run live screen printing events in any kind of space with our portable, pop-up press. 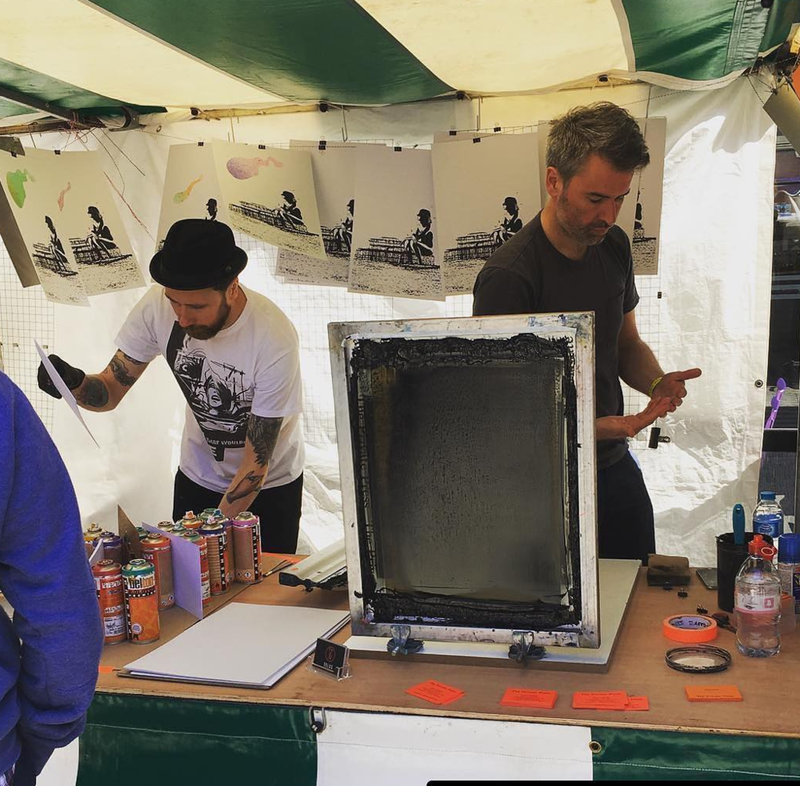 We've taken the pop up press to Glastonbury Festival, Glug, Boxpark, Ditchling Museum of Art and Craft, Green Man Festival, and the Brighton Illustration Fair, and many more locations across the UK. 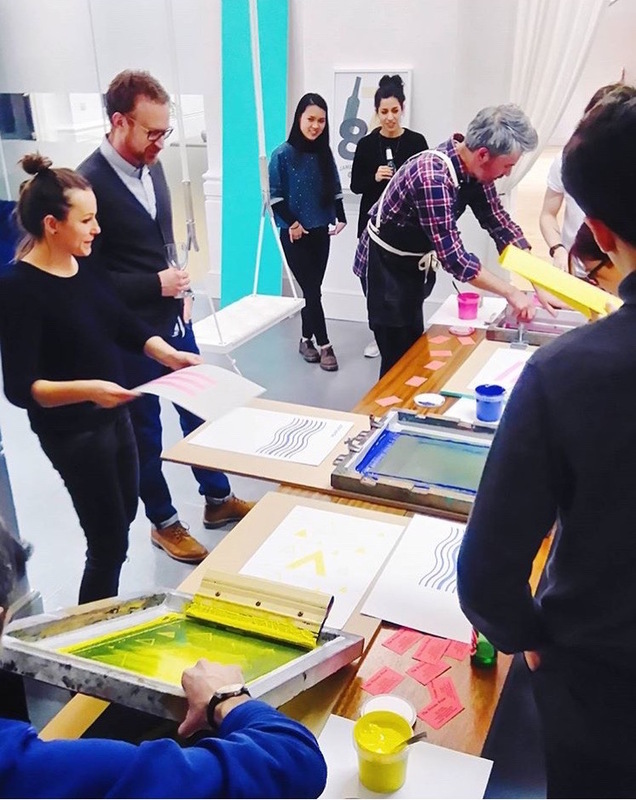 We can also host bespoke workshops for groups of up to 50 people, whether at our studio or off site in a workplace or event space. We arrive on site with screens ready, inks mixed and everything needed to start printing. 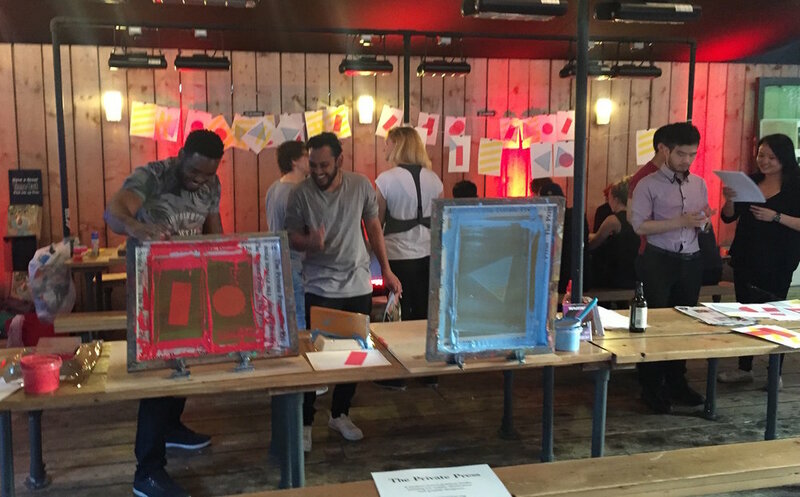 We’ve previously run workshops at design agencies, corporate events and festivals. “I can honestly say The Private Press were amazing. Not only was the experience second to none, Gary was a pleasure to deal with. One of the best agency initiatives we have ever done!” Clare Styles, Executive Creative Director, Brand Union.